In the software client, choose any cryptocurrency. 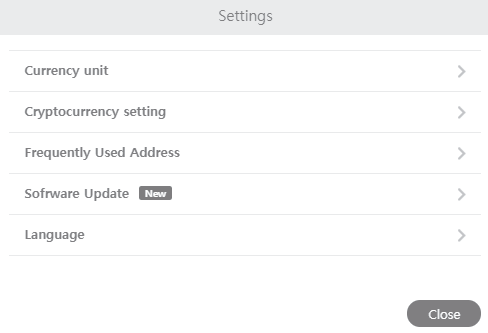 If a firmware update is available, an indicator ('N' within a red circle) will appear over the 'Settings' button in the top right corner of the software client window. Click the settings button to proceed. 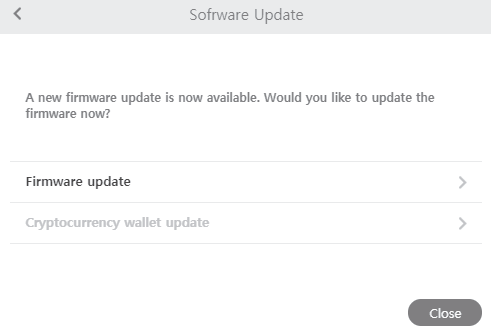 If a firmware update is available, the 'New' icon will appear next to the Software Update option. Choose 'Software Update' to proceed. If a firmware update is available, you will see a message indicating a firmware update is available. Choose 'Firmware Update' to proceed. Click 'Ok' to install the firmware update. Disconnect the USB cable from your Kasse. Press and hold both buttons and reinsert the USB cable while holding both buttons. Once your Kasse has indicated that it has booted into Firmware Upgrade mode, Click “Download” in the software client. Wait while your Kasse is updated and DO NOT disconnect the USB cable. Disconnecting the USB cable during a firmware update may result in a catastrophic failure. Once the update has completed, your Kasse will reboot itself. Click “Ok” in the notification in the software client. The software will now close. Your firmware is now updated. When you re-connect your Kasse and re-launch the software client, you will be prompted to create an optional firmware update code. When implemented, the firmware update code will be necessary to update the Kasse firmware on a configured Kasse in the future. If you would like to set up a firmware update code select 'Set up now' to continue, or select 'Later' if you do not want to secure firmware updates on your Kasse at this time. Choose and enter your 4-digit firmware update code. Do not use the same code that you have selected fro your Kasse device PIN. Please record and safely store this firmware update code. If you lose this code, you will need to erase and recover your wallets with your recovery phrase to reset the update code restriction. Re-enter your firmware update code to confirm and activate this feature. 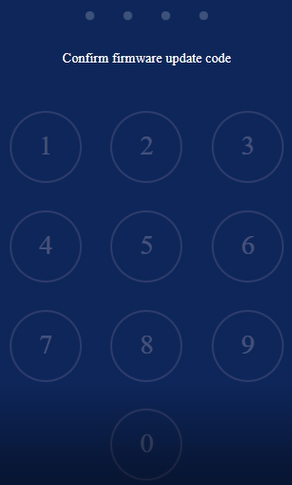 Once completed, you will be required to enter this code before the Kasse firmware is updated in the future.